At the crack of 9 a.m., the breakfast tacos are here, but coffee is yet to arrive. A quiet group of Rackers have already shuffled in slowly. Out of the 12 or so makeshift tables, there isn’t one that’s empty. 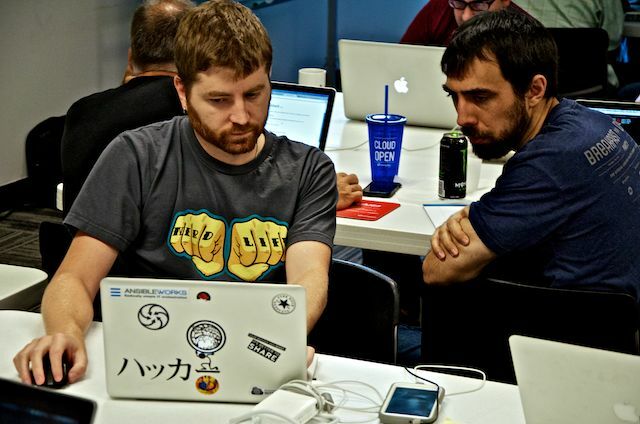 In the Rackspace Austin office, our hackathons have primarily focused on fostering culture, breaking down silos and encouraging creativity. Any project is considered. It does not have to be Rackspace-specific. The only "rule" is to demo your project at the end. 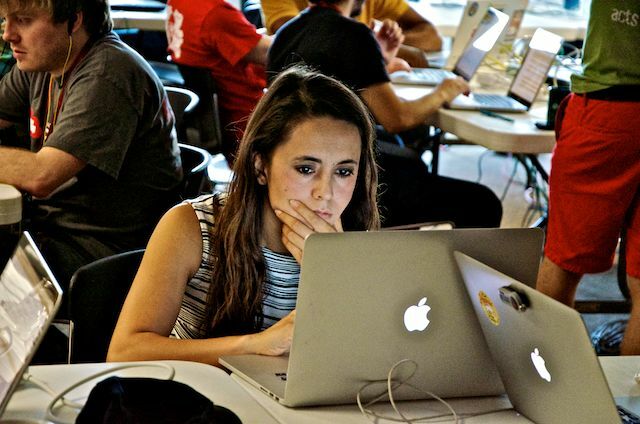 Our very first Austin hackathon was two years ago. At the time, our office was much smaller and we had more men than restrooms. The slam dunk of that event was the bathroom monitor app that gave you the real time availability of the men’s restroom. We, and our restroom capacity, have come a long way since then, and the projects have similarly expanded. 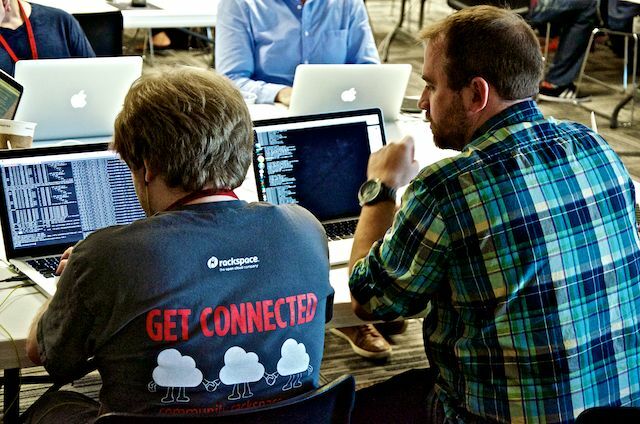 With over 25 teams, 90 participants, and countless technologies at this most recent hackday, we had Rackers ready to take over the world and take you to lunch. 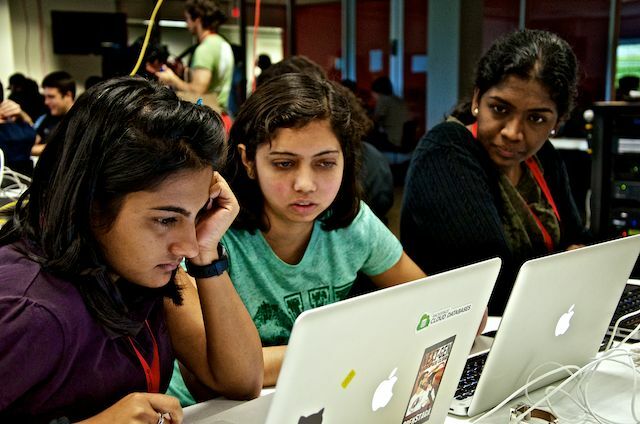 They worked to build prescriptive analytics engines, LAN party apps, and also designed heat maps based on noise in the office to help you find a quiet space. One group set up Skyline, part of the Kale stack Etsy started for anomaly detection. There were also a few social apps. One in particular stood out - it was an idea from a previous hackathon, to never eat lunch alone, which was coined our new internal love connection tool. Many groups focused on automation. ChaosCowboy, for example, aimed to start a proof-of-concept application similar to ChaosMonkey; only more controlled and for OpenStack services. While they didn’t complete it, the team learned valuable lessons around architecture and the available libraries that will guide the full implementation. Once finished, the goal is for ChaosCowboy to contain a complete RESTful service capable of controlling your OpenStack services and introducing chaos into your cloud architecture.